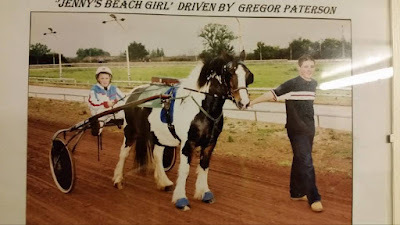 I've been going to the racing with my papa (Jimmy Moncrieff) all my life, then my dad got involved in the year 2000 and built stables and a track for me and my brother James and that's when we got our first horse, Red Red Robin. That would have to be Country Commander. He was one tough horse. I was never let down by any of his runs. Also Merrington Bad Boy - he taught me a lot in the few years I had him. 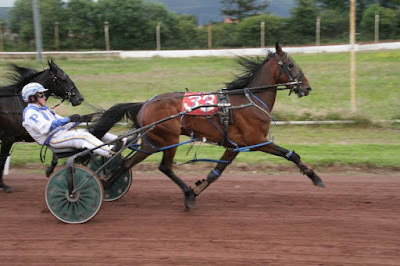 I'd love to drive Rewrite History (2015 BHRC 3YO Colt of the Year), his speed and stamina combined are different class. There are a lot of good drivers in the UK (I agree Gregor) but Rocker Laidler, Wull Greenhorn and Gordon Gilvear are my top three and will always give advice and help in every way. Has to be Corbiewood. Racing every week and great banter with everyone and the atmosphere there is the best. Have you driven outside of the UK and Ireland? Yeah I was lucky enough to be chosen to represent the UK in Canada at Rideau Carleton Raceway in 2012. It was an experience of a lifetime getting two thirds and second in 1.55, it was a great buzz and I would love to go back . I think that's every driver's dream it's just not as easy as that, but who knows what the future holds! 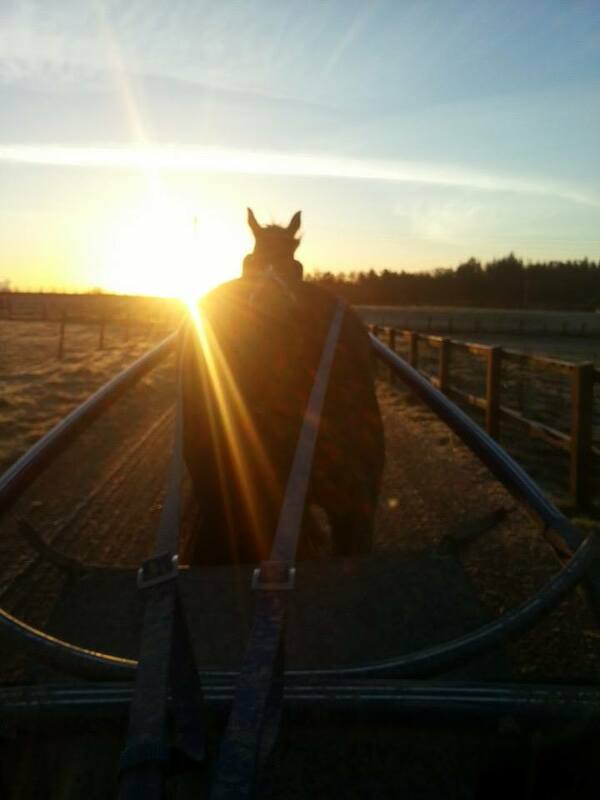 Would have to be the handicap system, I would like to bring the maiden/novice/improver/intermediate system back in to give younger horses more experience in races before getting to Grade 1 and running in heats and finals. You have to listen to the trainer as they know the horse better than you and will tell you how the horse should be driven but as a race strategy it can change and that's up to the driver to get that horse into a position to win the race. Winning a heat at Musselburgh with Country Commander who only cost my dad £300 was a great achievement for the stable. The race I'd like to win would be the Sunday Aberystwyth final. I prefer the rail it's the shorstest way round! It depends really what kind of horse you're on, all horses are different. Sometimes I have put other drivers on my horses as they need that type of driving. Hopefully a successful trainer, I can only keep trying! I like playing football and going out with the lads. I would move to Canada and open up a training centre and live the dream. Adam Sandler since he's my favourite. Gregor starting his driving career at a young age! Thank you to Gregor for taking the time to answer my questions with such humour. I apologise if my editorial notes appear to give off the wrong impression, which I sincerely believe they don't! All the best for 2016 with your stable full of new charges and remember - you don't keep a dog and bark yourself so make sure you get all those helpers to actually help!